If you live in San Francisco or have spent time in the City, we’re sure that you have come across the San Francisco fog at some point. It is definitely one of San Francisco’s most known characteristics. The fog has even been given the name Karl the Fog by the residents. We visualized the fog on the break room glass by taking use of frosted film (shown in the picture above). 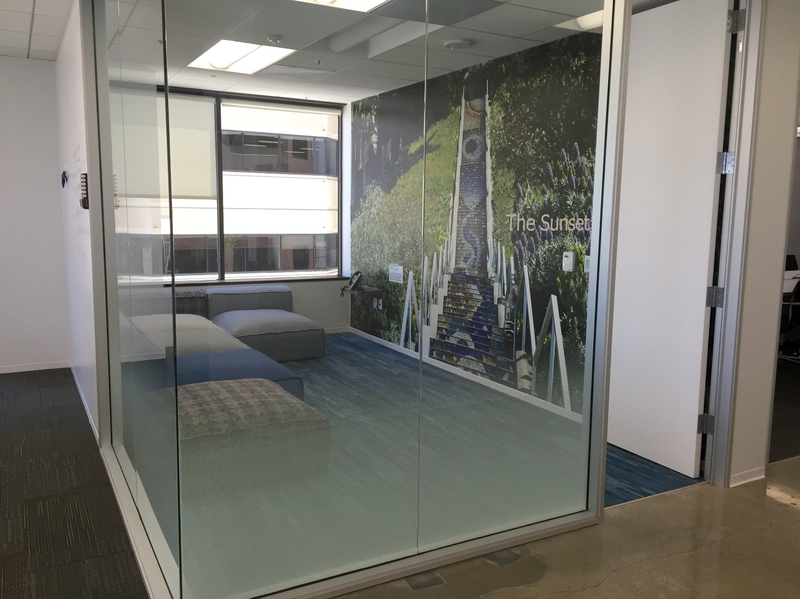 The interior wall of this room has been branded with a photorealistic wall graphic of the 16th Avenue Tiled Steps, located in the Sunset District, a graphic that goes hand in hand with the room’s name.